Having a good, reliable tent can make your camping experience much smoother. You want to have a camping tent that will withstand wind and rain but also allow for breath-ability during warm, summer nights. Three season tents are generally your best bet when it comes to camping in spring, summer or fall. Four season tents are great for the frigid winter months, but often are too hot for warmer temperatures. In this guide, we will go over 8 different three season tents and the pros and cons of each. In this guide, we will discuss tents that have capacity for 4 people. These are the best camping tents based off ratings and sales in 2018. Overview: When it comes to camping gear, Coleman does it right. Coleman is a trusted brand for all things camping, and with this tent, there is no exception. This Sundome 4 person tent is has enough room to move comfortably and sleep 4 people easily. This tent measures 9 foot by 7 foot and stands nearly 5 foot tall in the middle. If you prefer using an air mattress, this tent is able to fit a queen size in it. Setup is simple, taking only 10 minutes. This tent comes with WeatherTec system that is made to keep the interior of the tent dry. The Sundome offers sufficient ventilation with large windows to allow a breeze in during those warm months. Weighing in at only 10 pounds, this tent is fairly lightweight. With this tent, you can find a few ways to organize your items with a place to hang a lantern from the center of the tent, as well as pockets on the sides to place items such as a phone, keys, etc. Read out full review of the Coleman Sundome. 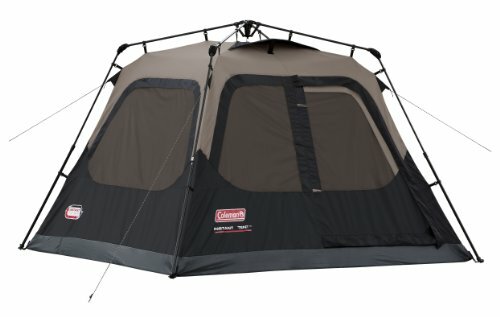 Overview: Another Coleman brand tent comes in at number 2 on our list. With this Instant Tent, you will waste no time with set up or take down of your tent. It takes about only 1 minute to assemble the Instant Tent, allowing you ample time to enjoy your camping trip. In addition, set up of this tent can be done with only one person. The highlight of this tent is the ease of assembly. It still offers enough room for a queen size mattress. It is durable enough for heavy wind and rain, with WeatherTech system to keep water out. The Instant Tent measures 8 foot by 7 foot and nearly 5 foot tall at the center. Read our full review of the Coleman Instant Cabin here. 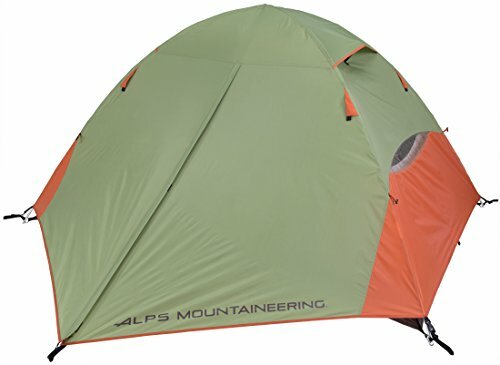 Overview: Coming in at number 3 best tents is the ALPS Mountaineering Taurus tent. This tent is designed for easy assembly with a free-standing pole system and has easy entry with two doors on the left and rides sides. The tent is fairly lightweight at 10 pounds 11 ounces and measures 7’6″ by 8’6″ and stands with a center height of 4’4″. 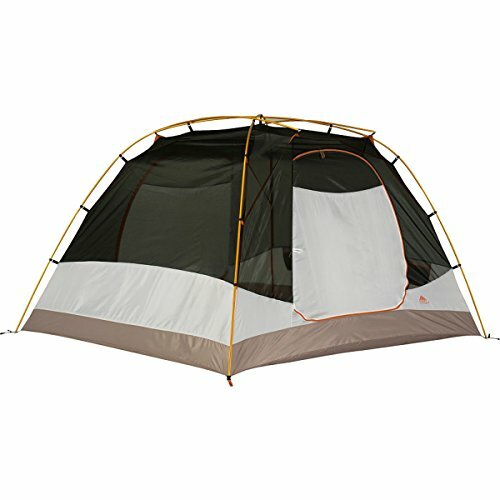 This ALPS brand tent has good ventilation with a mesh roof and mesh windows on the two doors. 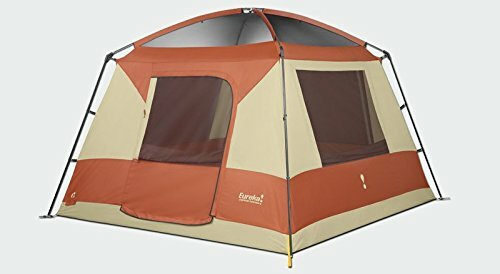 This tent is plenty roomy for 4 people and offers enough room for a queen size air mattress. The weather-proof design of this tent makes it a great choice to keep out water and keep you dry inside. This tent offers dual vestibules for extra storage of your gear, as well. Read our full review of the ALPS Mountaineering Taurus. Overview: The highlight of this tent is the lightweight design, coming in at a trail weight of 7.7 pounds, making it a good choice for a backpacking tent. 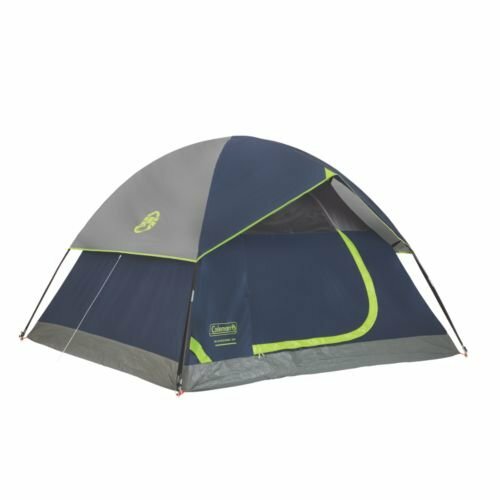 This Teton brand tent comes with a great waterproof design and offers a micro-mesh design for breathability to cut down on potential condensation issues while camping. Another feature of this tent is the fact that it comes with a footprint. Setup is easy with this tent and can be done with only one person. It measures roughly 8 foot by 7 foot and comes with a standing height of almost 5 foot at the center. A vestibule at the entry of the tent allows for extra storage for your belongings. This design of this tent is build to last and offers an overall great quality for many elements. Overview: The spaciousness of this tent allows enough room for 4 people or a queen size air mattress for a couple. The tent measures 8 foot by 8 foot and is a whopping 7 foot tall in the center. The heaviness of the tent keeps it from being a backpacking tent but is great for general family use. There are windows on all sides for visibility and ventilation plus a full-mesh roof to help prevent condensation build-up. The frame is sturdy enough to withstand wind and rain. The interior of this Eureka brand tent comes with hooks and lines for storage of clothes, flashlights, etc. Assembly of this tent is traditional with clips and pole sleeves. 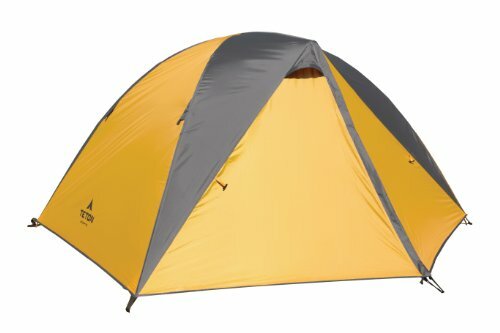 Overview: Overall, this tent is a great choice for those who need a bit more space while backpack camping. Coming in under 7 pounds, this is lightweight enough to carry while backpacking but also offers durability to the elements of colder weather, winds and rain. Assembly is easy with color-coded pieces and can be done solo. There are two doors, allowing for easy access outside and offers two small vestibules to store smaller items. It measures 8 foot by 7 foot and stands 4’4″ at its peak height. It is big enough to comfortably sleep 3 people but can be tight with 4 people. Overview: Very similar to the ALPS Mountaineering Taurus model, the Lynx comes in being an overall lighter design at around 8 pounds. 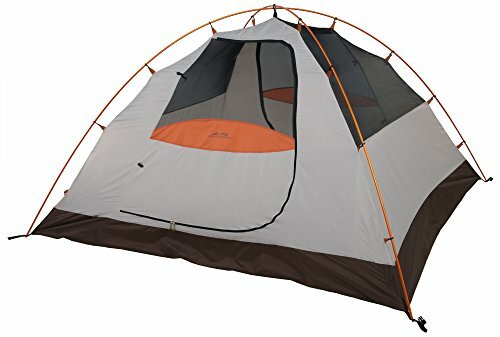 This tent measures 7’6″ by 8’6″ and stands 4’4″ at the highest center point. It is plenty roomy to fit 4 people and offers additional storage with vestibules. The overall design is very similar to the previously listed ALPS tent and comes with 2 good sized vestibules for storage and protection from the elements. There are 2 doors for easy entry and offers more ventilation than the ALPS Taurus with larger mesh windows on all sides. Assembly is considered quick and easy with this design and can be done by one person. Overview: The design of this tent allows for more livable space, as the walls are built steeper than some. 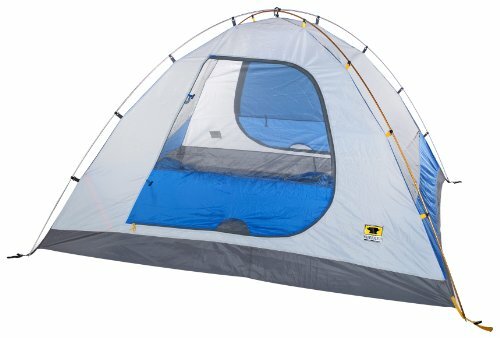 This tent stands just under 5 foot tall and measures 6’10” by 8’1″ and carries a weight of 10 pounds 7 ounces. It is large enough to put a queen size air mattress with a bit of wiggle room on the sides. Two doors allow for easy entry. There are only two mesh windows available in this style, as the doors lack any mesh ventilation options. This tent is designed with two vestibules for extra storage and protection from the elements. Color-coded setup allows for simple assembly. This tent would be considered too large to be a backpacking tent. Thanks Kaci for the reviews. I went with the Coleman Sundome. We used it for our Labor Day trip to the Appalachian mountains and it was wonderful. The tent was easy to set up. It fit all four of us comfortably (my husband and two kids). Would recommend the Sundome due to ease of use and very nice entry price point. Would definitely recommend the first one in your list Coleman Sundome. It’s a pretty simple and basic tent but does what it’s supposed to do….protect from the outside elements. It’s a great tent for camping and priced fair.